In this video tutorial we will show you how to create an excel database. 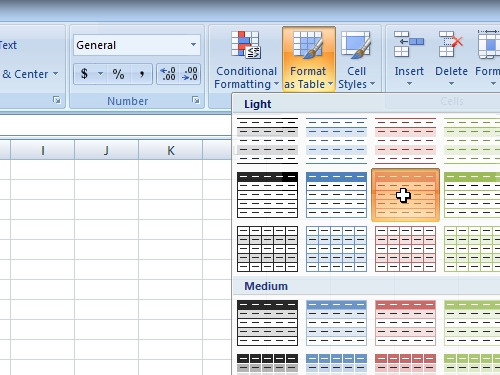 In order to create a database in excel, open the Microsoft excel. First of all create a header row. For example, type “First name” in A1 cell. Then type “Last name” in B1 cell. Type “Hire date” in C1 cell. And type “Salary” in D1 cell. Then go lower and type “John” in A2 cell. In B2 cell type “Smith”. In C2 cell, enter the hire date “October 2010”. And in D2 cell enter salary “$100000”. After you fill in the information, go to “format as table” in the “home” tab. Choose a table you like. Select the data you want to format as a table and click “ok”. Also, if you want to add data it will be automatically added to your database table. Now, you know how to create database in excel.